Evelop: Is the airline owned by Barceló Viajes: it is nowadays one of the most affordable options. 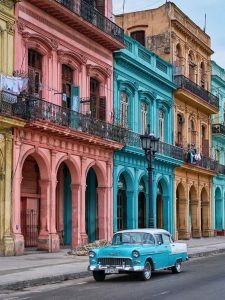 Halcón Viajes: It is a travel agency that offers flights to Havana at discounted prices from major airlines, the best deals are usually on Air Europa and departing from Madrid. 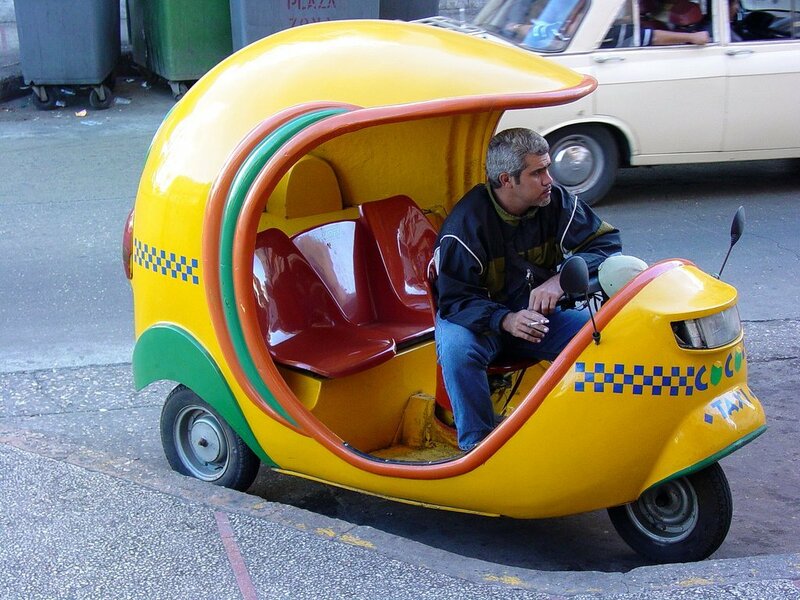 In Havana there are two types of taxis: state owned ones (yellow and black, usually more expensive) and private ones. 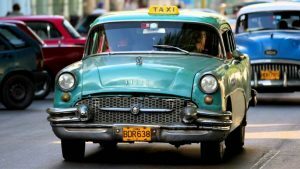 Taxi fares from Havana airport can vary a lot but usually are something around 25 CUC to get to El Vedado and around 30 CUC to Old Havana or Miramar. It is recommended not to ask how much a trip costs, but to propose a basic price and then negotiate. 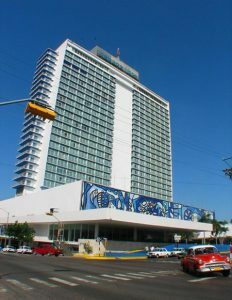 Hotel Saratoga: One of the most luxurious in Havana: Has hosted many celebrities when they have visited the city. Iberostar Hotel : Parque Central: Has a spectacular lobby and a unique atmosphere. Hotel Santa Isabel: This hotel located in the Historic Plaza de Armas is located in the center of Old Havana: and close by to the main attractions. 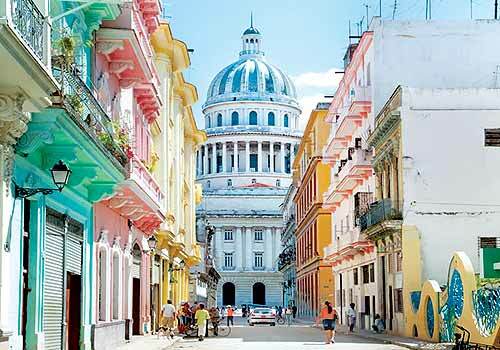 If you opt for a private tourist rental in Old Havana, make sure that the house is renovated. Many apartments in hold Havana tend to be very old. 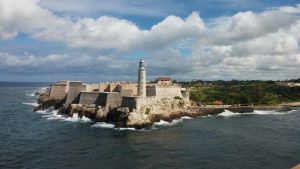 The Castle of El Morro and La Cabaña; forts dating back to the Spanish colony. You should not miss El Cañonazo de Las Nueve (at night): It is a representation of the cannon shot during colonial times that announced the closing of the gates of the city. The Castle of La Real Fuerza; where you can see La Giraldilla, emblem par excellence of Havana. 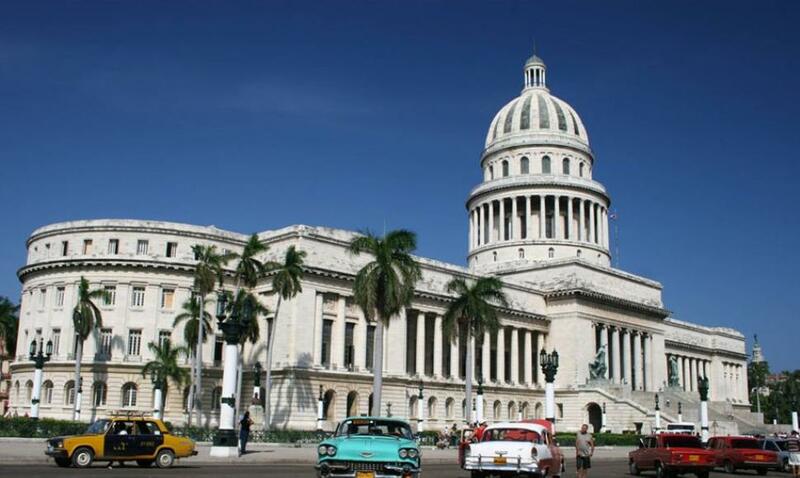 The Capitol, which is currently reopened to the public, it is an imposing building right in the center of Havana. It is also an imitation of the White House in Washington D.C.
Stroll along El Bulevar de San Rafael; a pedestrian area where you can feel like a local. You will find many bars and cafes where you can listen to live music practically at any time of the day or night. IMPORTANT TIP: Never buy Cigars that are offered on the street (very common in this area). 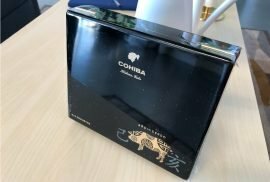 They are all fakes and you should only buy from official La Casa del Habano stores. 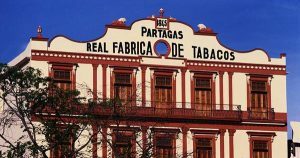 With regard to Habanos, you should not miss one of the main cigar factories in the center of old Havana . 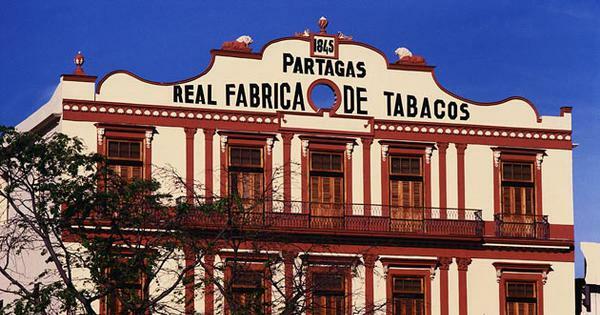 You may take a tour where they will explain the whole manufacturing process of the Partagas cigars. If you like adventure; Get on a bike-taxi: a tour through Old Havana will cost you 5 Cucs or if you are feeling even more adventures get on a Coco Taxi. 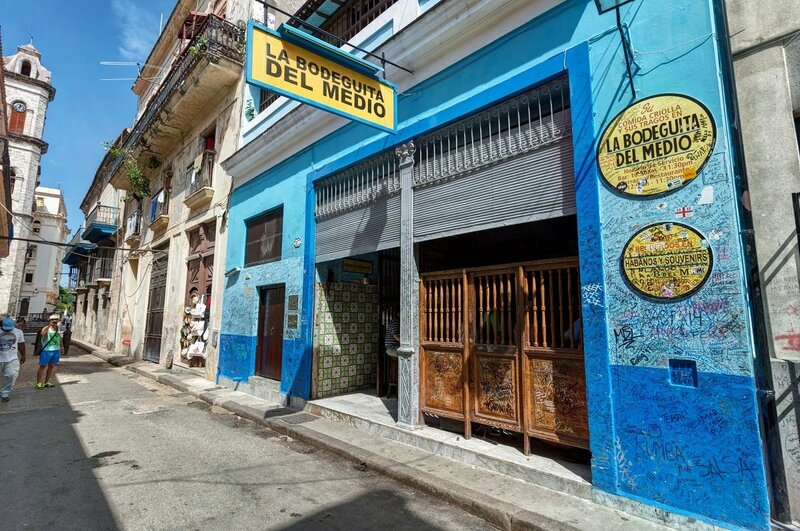 La Bodeguita: One of the most well know bars worldwide, it is also the birth place of the Mojito! The Floridita: One of Ernest Hemingway’s favorite bars when in Havana, it is also the birth place of the Daiquirí. 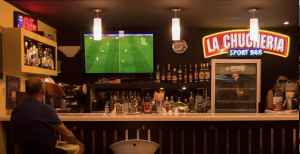 El Patio: Good food, relaxing atmosphere and live music in the Plaza de La Catedral. Doña Eutimia: Located in one of the alleys of La Plaza de La Catedral, it is good, beautiful and cheap! Havana 61: Modern restaurant with very good food and excellent service. La Guarida: This is the most emblematic restaurant in Old Havana. A place full of charm located in an old palace of the early twentieth century. 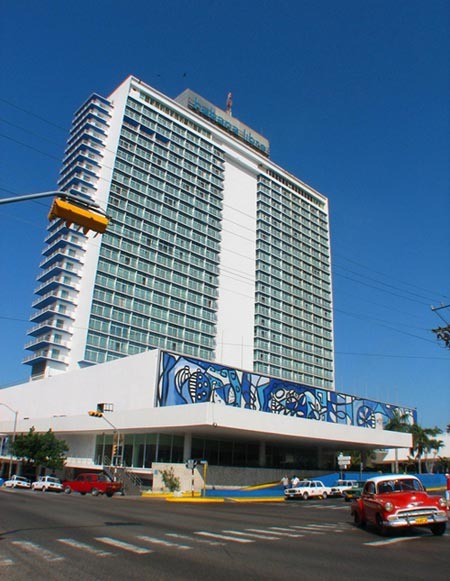 Hotel Nacional: This hotel is one of the most famous hotels in Cuba. It is a National Monument and is declared a Memory of the World by UNESCO. Hotel Meliá Cohiba: In front of Havana’s boardwalk. It houses a Casa del Habano, as well as over 5 different restaurants. An ideal choice for gourmets and cigar lovers alike. 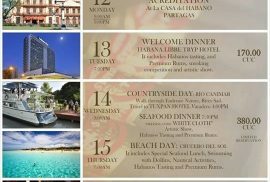 Tryp Habana Libre Hotel: This hotel is located in La Rampa; the main street in el Vedado and center of modern Havana, with a huge and elegant lobby. It also houses the unique Turquino Cabaret. El vedado is mostly well known for it’s nightlife, most clubs, bars and cabarets are concentrated in this area. The Parisien Cabaret: On the ground floor of the Hotel Nacional, it has a vibrant and colorful show. It’s show is a musical tour through the different genres of Cuban music. 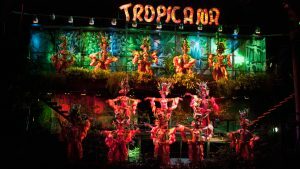 The Turquino: This Disco- Cabaret is on the 25th floor of the Habana Libre Hotel, it has a live show and music, which then turns into a night club when at midnight the roof opens and a DJ starts playing local music. An excellent choice if you would like to dance under the starts of Havana. 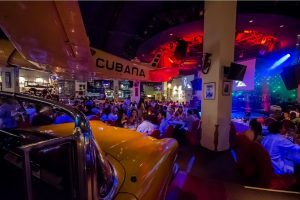 The Havana Café of Melia Cohiba: It is a Restaurant Bar and Cabaret set in the Havana of the 50s. It is very well know for it’s shows, usually having performances by top artists of the moment. The Jazz Café: This place is also in front of the Malecón boardwalk, at the top of the Galerías Paseo shopping center. It is an ideal place to snack and have good drinks to the rhythm of the best jazz. And at a great price!! 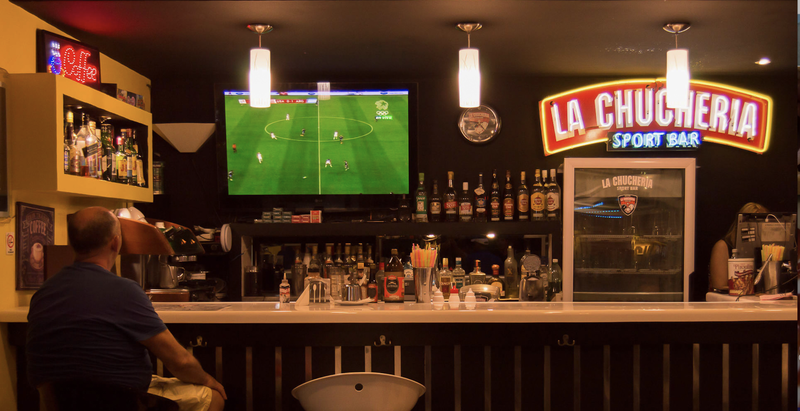 La Roca: Although it does not seem very attractive from the outside, when you enter you will find a elegant decor. In the background: a pianist playing Cuban boleros. They serve local food in very good portions and have great and friendly service. 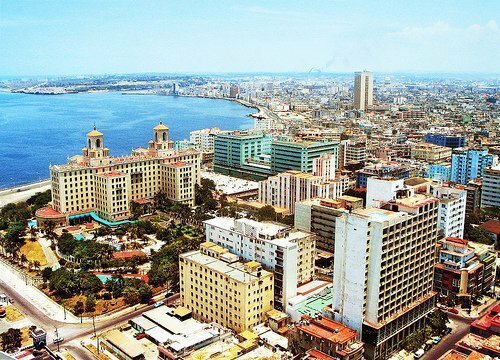 La Torre: This Restaurant Bar is on the 33rd floor of the Focsa building; the highest in Havana. Since this restaurant has some of the best views of the city. And very good seafood dishes. 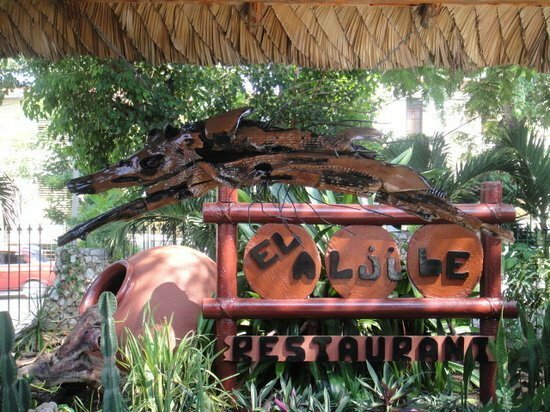 El Idilio: This restaurant has a terrace protected by a charming porch. It is a classic of Cuban and international food. Here you can taste a good meat or a lobster on the grill. Booking in advance is advised. Mediterraneo: This restaurant offers very good quality products – they come from their own farm – (which you can also visit) Good quality, good service and nice ambiance. La Chucheria: This is a fast food restaurant, worth mentioning, because they have the best smoothies and fruit juices in Havana. Their chicken salad is unique, they also have great pizzas and sandwiches. 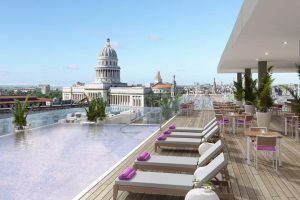 Hotel Meliá Habana: One of the most beautiful hotels in the city boasts a spectacular two-story lobby. 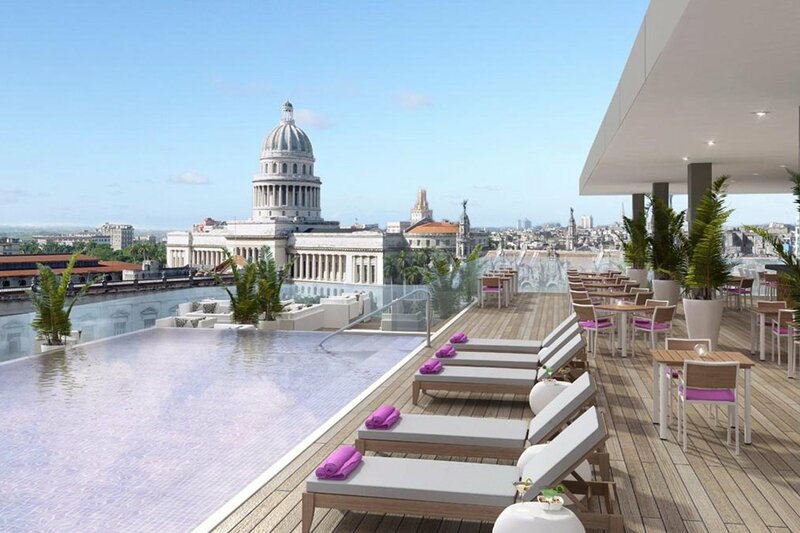 Its infinity pool facing the sea is the most beautiful in Havana. It is located in front of the Business Center. Hotel Cubanacán Comodoro: It consists of the main building as well as the bungalows, our recommendation here is to go for the bungalows which offer great privacy and comfort . These are surrounded by a beautiful pool with canals and an impressive bar. It is also in front of the sea. 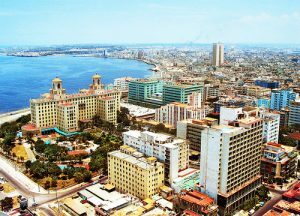 It is the most luxurious, elegant and quiet area of ​​Havana, where you will find the best private rentals. It is possible to rent seafront homes, with swimming pools. Sometimes you may even find for rent old colonial mansions. If you like tranquility without being too far from the center, Miramar (Playa) is the most recommended place to stay. 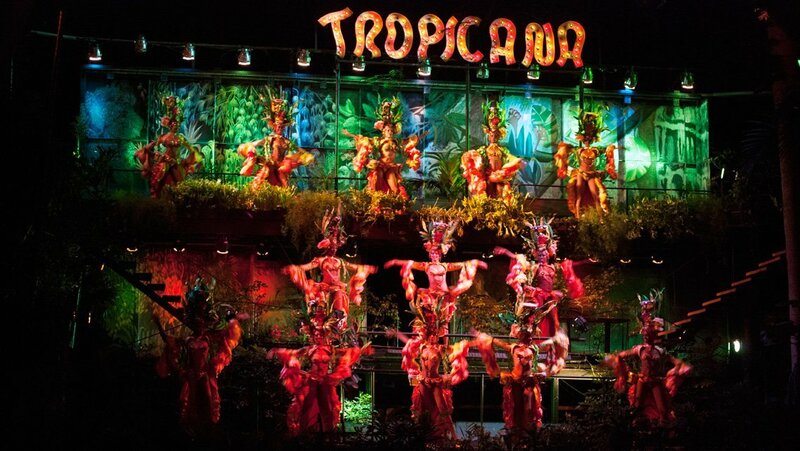 Tropicana Cabaret: It is an obligation to mention it because it is the most popular Cuban musical show worldwide. An open-air charm that has come to be known as the “Paradise under The Stars”. 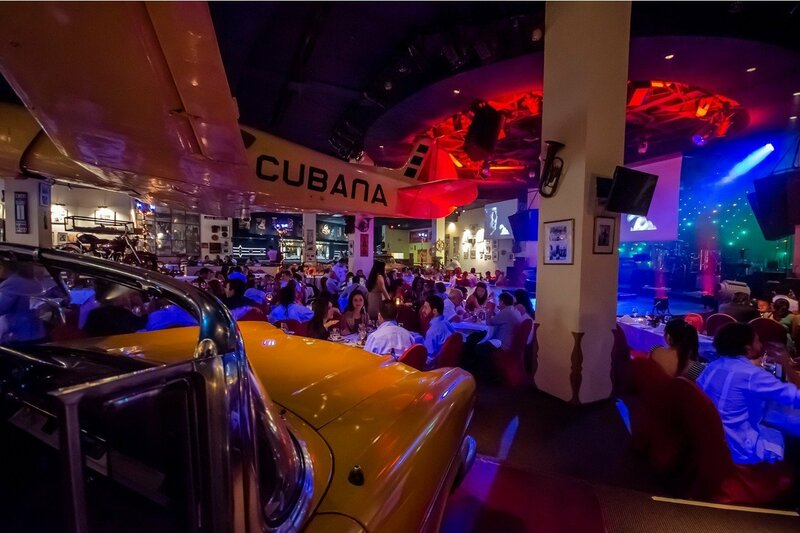 La Casa de La Musica: Here, for only 15 Cucs you can see and enjoy the best live Cuban music. All in the middle of a beautiful location with loads of nature surrounding it. 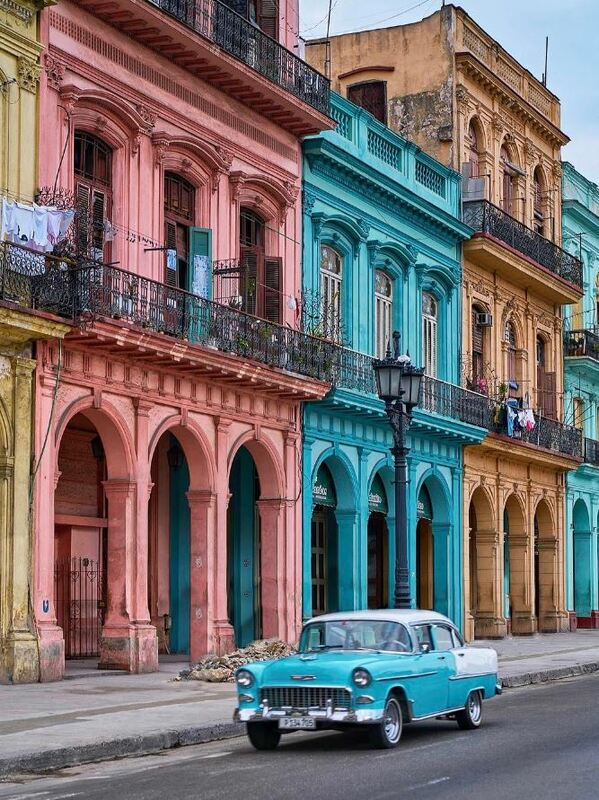 The Fifth Avenue: This avenue, inspired by the one in New York, is considered the most beautiful street in Cuba. Most of the houses are luxurious mansions with large gardens. Taking a car ride through this area, facing the coast and with lush vegetation is priceless! 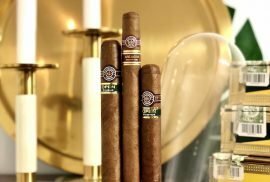 This cigar store, opened in 1990, was the first of its kind aimed at high-end customers in Cuba. It’s a place where you can smoke a good cigar, savoring a coffee or a drink in the bar. It also has a restaurant next door offering some of the best seafood dishes in the city. As this is the most upscale area and where the diplomatic community lives, most restaurants are state owned. The Aljibe: This Restaurant is the most famous in the area: the favourite of the diplomatic community. It specializes in a set menu of the delicious Aljibe butter chicken accompanied with white rice, black beans, fried plantain and salad. The dining is al fresco with large spaces and lush vegetation. El Olivo: One of the best paellas in Havana. Good Spanish style cuisine in a place with a modern and elegant decoration. And a beautiful terrace. El Laurel: This restaurant is one of the oldest in Havana; Eating there is a great experience and not only for its good cuisine. Built on wooden planks on the water, it offers a spectacular view and a magnificent sensation of relaxation. 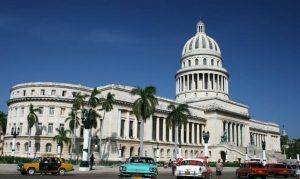 Bottomline do not worry too much, relax and get into the Cuban lifestyle; which is no rush, no plans, just plain enjoyment. Hopefully with our guide you will be able to make the most out of this beautiful city! to be a leisure account it. Look advanced to more brought agreeable from you! I’m just writing to make you understand what a extraordinary experience my cousin’s daughter developed viewing your webblog. She learned so many pieces, not to mention what it is like to possess an amazing giving nature to have the mediocre ones completely fully understand specific grueling issues. You really surpassed our desires. Thanks for displaying such practical, dependable, explanatory not to mention easy thoughts on your topic to Julie. I have to convey my love for your kind-heartedness in support of people that require help on this particular situation. Your real dedication to passing the solution all over came to be surprisingly powerful and has really made somebody like me to attain their endeavors. Your amazing useful guidelines means so much a person like me and substantially more to my mates. Many thanks; from all of us.